Master Lube provides a wide variety of services for maintenance of automotives. The services offered by the Master Lube Company include fluid flushes, oil changes, auto glass, hand car washes and lots more. The automotive services of the company includes Air Filter Replacement, Automatic Transmission Flush, Air Conditioner Recharge, Battery Testing and Replacement, Fuel Filter Replacement, Full Service Oil Change, Glass Services, PCV Valve Replacement, Drive Case Service, Power Steering Flush, Radiator Flush, Serpentine Belt Replacement, Tire Pressure Check, Windshield Chip Repair, Windshield Replacement, and Wiper Blades. The Master Lube Company was founded in the year 1981 and has four lube centers and two car wash centers in the area of Billings Montana. 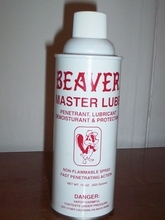 There are currently 0 consumer reviews about Master Lube available. Share your review. Please take a note that you are about to post a public review about Master Lube corporate office on CorporateOffice.com. This review will be public, so please do not post any of your personal information on this website. If you would like to contact the corporate offices of Master Lube, please use their contact information such as their phone number, website, and address listed above to contact them. However, sometimes staff from Master Lube headquarters do read the reviews on this website.